Trinity Lutheran Youth pose while at the 2018 Youth Gathering in Houston, TX. 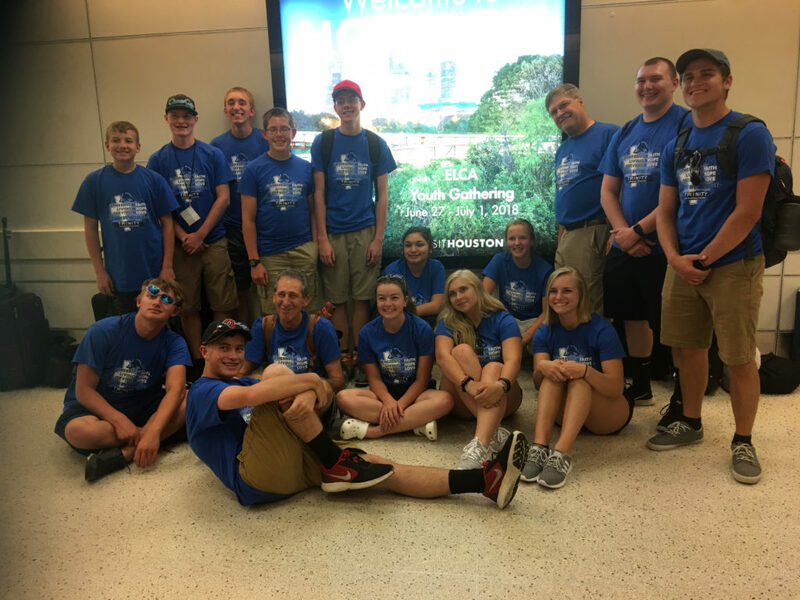 Every three years Trinity Youth, eighth grade through high school attend the ELCA Youth Gathering with 35,000 young people in attendance. The next Youth Gathering will be in Minneapolis, MN in the summer of 2021.